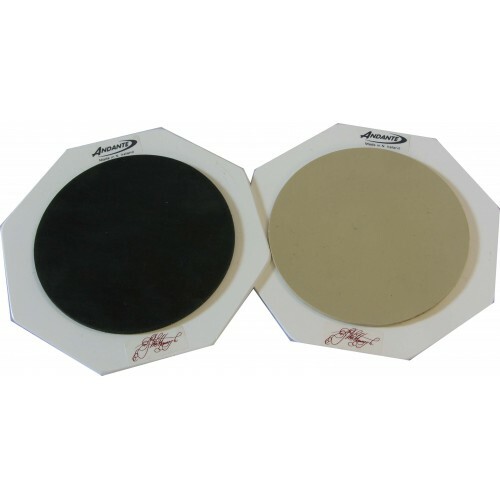 The JM Practice Pad is a 2 sided practice pad mounted on a lightweight aluminum base, it is a neat pocket size pad but it has the same punch as larger size pads. The rubber is highly responsive and great to play on. The black side has a harder less responsive rubber but is brilliant for developing technique.